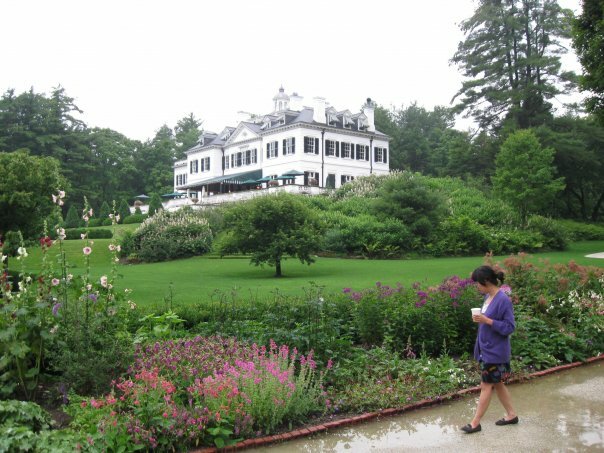 Some Artists from Toronto Performed at The Edith Wharton House in The Berkshires in Massachusetts. It was weird. Leanne Shapton is an illustrator, author, art director and publisher based in New York City. She is currently the art director of The New York Times Op-Ed page. Shapton is the co-founder, with photographer Jason Fulford, of J&L Books, a not-for-profit imprint specializing in art and photography books. She grew up in Mississauga, Ontario, and attended McGill University and Pratt Institute. After interning at SNL, Harper's Magazine and for illustrator James McMullan, she began working at the National Post where she edited and art-directed the daily Avenue page. She went on to become art director of Saturday Night, the National Post's weekly news magazine. Shapton has contributed illustrations to New York Magazine, The New Yorker, Harper's, T Magazine, The New York Times Book Review, Condé Nast Traveler, Jane and Departures. She has designed and illustrated book covers for Knopf, Doubleday, Simon and Schuster, John Murray, and Penguin. In 2003, Shapton published her first book of drawings, titled Toronto, and in 2006 Sarah Crichton Books/ Farrar, Straus & Giroux published Was She Pretty? She recently published Important Artifacts and Personal Property from the Collection of Lenore Doolan and Harold Morris including Books, Street Fashion and Jewelry, an illustrated novel, for Sarah Crichton Books / Farrar, Straus & Giroux. Amy Lam and Jon McCurley are the conceptual comedy duo Life of a Craphead. They present projects that test the limits of common sense in all kinds of unconventional venues: they bought one of “everything on the menu” at a restaurant (with a 500+ item menu) in Toronto’s Chinatown and advertised a Free Lunch to the public; their New Thing Traveling Store sells unusable but attractive items like “Laughter-Treated Wood” at club nights and rock shows; and they re-enacted a moving mountain landscape inside an abandoned car factory building. Life of a Craphead regularly performs on comedy club and other live entertainment stages, most frequently appearing at the Rivoli in Toronto. In February 2009 they completed a residency at the artist-run centre Department of Safety in Anacortes WA, and then toured their stage comedy routine down to the West Coast, performing at venues like Artists’ Television Access in San Francisco and the Upright Citizens Brigade Theatre in Los Angeles. In May 2009 they were invited to perform at the contemporary art gallery the Power Plant’s annual fundraising gala Power Ball 11. Life of a Craphead has received grants from the Toronto Arts Council and the Ontario Arts Council, and they have been or will be featured in the publications C magazine, Hunter and Cook, This magazine, and Commerce by Artists (Art Metropole). Upcoming projects include a music video for Final Fantasy(Owen Pallett) and two feature-length movies. They will be performing a set of Life of a Craphead at The Mount. Kathryn Borel's broadcasting and writing career spans 10 years. She currently is a producer on the Canadian Broadcasting Corporation's flagship radio arts and culture program, Q. She does a wildly popular wine column for the CBC Ontario's provincial weekend morning show, Fresh Air. Her opinions journalism has included a humourous food column entitled ColumnDine for the magazine Eye Weekly and one entitled Indignities for the National Post newspaper. Her first book, Corked (John Wiley & Sons), will be released in February 2010. It is a memoir about wine, France, death, her father and existential dread. Kathryn Borel enjoys running half-marathons and detests pants. She will be reading from Corked at The Mount. Darren O’Donnell is a novelist, essayist, playwright, director, designer, performer and artistic director of Mammalian Diving Reflex. The Chicago Reader has called his first novel, Your Secrets Sleep with Me, "a bible for the dispossessed, a prophecy so full of hope it's crushing". His latest book Social Acupuncture, a Guide to Suicide Performance and Utopia was published in spring 2006 and prompted the Globe and Mail to declare, “O’Donnell writes like a sugar-addled genius at 300k/h.” His performance, Haircuts by Children, was called “the best of Performan07” by ARTINFO and Modern Painters declared it “the high point of the LA cultural calendar. Haircuts by Children has been presented by New York’s Art In General at the 2007 Performa Festival, the PuSh International Performance Festival in Vancouver, Portland Institute for Contemporary Art’s Time Based Art Festival, the Sydney Festival in Australia, Outpost for Contemporary Art in Los Angeles, in Birmingham, UK, Dublin Ireland and Toronto, Canada. He has also presented at the Lok Punjab Rahs and the World Performing Arts Festival in Pakistan and is developing a long-term project with Aarambh, an NGO based in the slums of Navi Mumbia, India. Other performances include: A Suicide-Site Guide to the City, Diplomatic Immunities, pppeeeaaaccceee, [boxhead],White Mice, Over, Who Shot Jacques Lacan?, Radio Rooster Says That’s Bad and Mercy! He has organized The Toronto Strategy Meetings, a durational project focusing on self-responsibility as a social act; The Talking Creature, a continuing experiment in public discourse; Beachballs41+all, a wealth redistribution performance featuring Toronto’s Culturati, kids in a pool and Liz and Rennie’s No Frills; Ballroom Dancing, an all night dance party DJed by children in a gymnasium filled with rubber balls during Toronto’s inaugural Nuit Blanche; Slow Dance with Teacher, a sensual encounter between teachers and those who love them; The Children’s Choice Awards, an award ceremony at the 2006 Alley Jaunt art show, devised and directed by a bunch of kids from Parkdale Public School and Please Allow Us the Honor of Relaxing You, a massage encounter between the participants of the Open Engagement Conference and the students and staff of the First Nations University in Regina Saskatchewan. 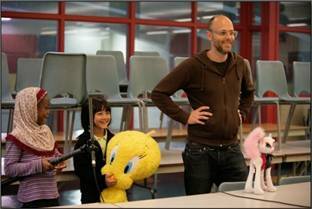 He was the 2000 winner of the Pauline McGibbon Award for directing, the 2000 Gabriel Award for broadcasting and has been nominated for a number of Toronto theatre community’s, Dora Awards for his writing, directing, and acting, winning for his design of White Mice. He will be directing his celebrated Q+A show at The Mount. Sheila Heti is an internationally acclaimed fiction writer whose books have been translated into German, Spanish, French, Dutch and Serbian. In 2002, she published the story collection The Middle Stories (McSweeney’s Books), and in 2006, she published the novella Ticknor (Farrar, Straus and Giroux). 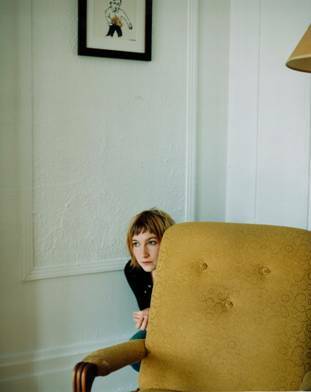 Le Figaro wrote of her, “Sheila Heti is a writer who resembles no other, triumphantly classical and discordant at the same time. She obeys no law but that of her own pleasure in literature.” Her writing has appeared in Esquire, The New York Times, Brick, and many other publications, and she regularly conducts interviews for The Believer. She is the recipient of numerous awards, grants and residencies, both in Canada and abroad. She is also the creator of the popular lecture series, Trampoline Hall, at which people speak on subjects outside their areas of expertise. It runs monthly in Toronto and has sold out every show since its inception in 2001. The New Yorker praised the event “for celebrating eccentricity and do-it-yourself inventiveness.” She is also the creator of the blogs I Dream of Hillary and I Dream of Barack, which collected hundreds of sleeping dreams people were having of the candidates during the primary season. Press for the project was extensive, and included CNN, The LA Times, The New Yorker, The Chicago Tribune and The Washington Post. 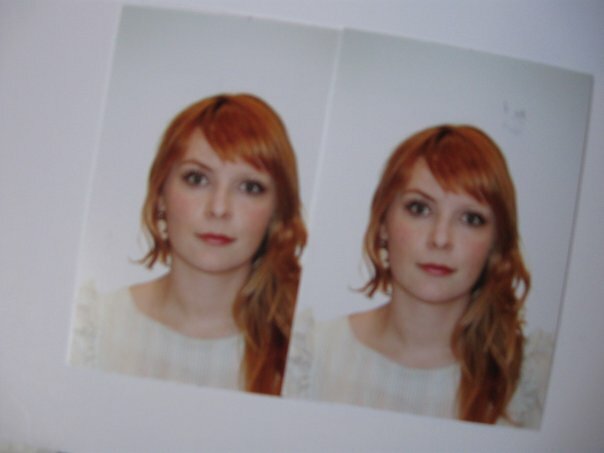 She regularly collaborates with other artists: she played glockenspiel and korg during The Hidden Cameras 2007 European tour; appeared in Margaux Williamson’s 2006 film, Teenager Hamlet; and played the role of Lenore Doolan in Leanne Shapton’s recent novel, Important Artifacts (FSG), a fake auction catalogue. She is currently completing several books, including The Chairs are Where the People Go with Misha Glouberman, a self-help book titled Choose Your Own Past, and the novel How Should a Person Be? She will be leading a staged, panel discussion with all the performers at The Mount. Lauren Bride is a writer and an artist living in Toronto. In 1988, she appeared in a made-for-television program about drinking and driving called The Final Score. In May 1989, she won a shopping spree for her mother for a composition called Why My Mom is the Best. She swam competitively from 1990-1994 and won a little shopping bag full of ribbons. Her name was in the paper several times. In 1997, she won a City of Mississauga Achievement Award for a short story. In 1999, she was elected high school valedictorian, a national scholar, and won a national short story competition sponsored by Indigo Books, which included a trip to the Royal York Hotel. She attended the University of Toronto with a scholarship, publishing short fiction during this time in THIS Magazine, The Shore, Cantos Cadre, and in collaboration with British Illustrator Joel Stewart. Her artwork has been shown in Los Angeles at Fette's Gallery, through the Katherine Mulherin Art Projects in Toronto, and with the United Nations Gallery Project in Berlin, as well as smaller screenings of video work elsewhere. Since 2004, she has been a collaborator of the Trampoline Hall Lecture series as curator and contributing art director. Her most recent publications can be seen on the "Joyland" web magazine for short fiction, and on the Ryeberg video project website. Lauren was an associate producer of Margaux Williamson's Teenager Hamlet (2008) as well as appearing in that film. She Lauren played the role of the Mayor in the play Double Double Land Land, written by Jon McCurley (Gallery TPW, January 2009). Lauren works for Michael Snow in Toronto, and is at work on two separate book-length projects. In July, she will play "Josephine" in Aurora Stewart de Pena's 36 Little Plays About Hopeless Girls. She will be filming the proceedings and art directing the show at The Mount. Margaux Williamson was born in Pittsburgh and has lived in Toronto since 2000. 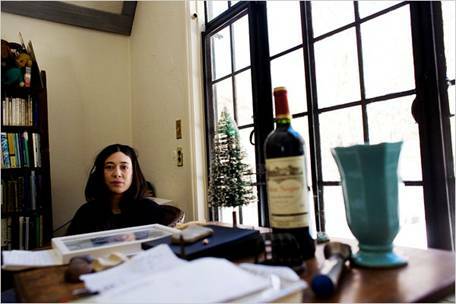 She has been recognized as one of Canada’s leading young painters by curators and critics including The Toronto Star which called her “one of the best painters of her generation.” Her last solo show, Trophy Ghost, was exhibited at Fette’s Gallery in Los Angeles in 2008, and in 2007 she premiered The Girls show Dostoyevsky the new darkness at the Marvelli Gallery in New York. In 2008, she was highlighted in Canadian Art Magazine as a young artist to watch. In Fall 2008, her experimental art project and movie, Teenager Hamlet, premiered at the Toronto International Film Festival in their art section, Future Projections. The National Post helpfully wrote of the project, “Since the words ‘experimental feature’ can strike fear into most art viewers’ hearts, the watchability of this was indeed a pleasant surprise.” Eye Weekly wrote, “Williamson’s playful, inventive and refreshing exploration of the ideas posed by Shakespeare’s most popular play presents a surreal counterpoint to the glamour of the mainstream movie industry.” In early 2009, a video she compiled from videos of teenagers dancing in their basements, which she subsequently posted on YouTube, was included in the "Moments that Mattered" New York Times Magazine's 2009 Screens Issue. She will be screening her film Teenager Hamlet at The Mount.